Marie wanted to join us on this trip but her husband has cancer and she was unable to travel. She sent me an e-mail with a special request. Having a devotion to the Blessed Mary she asked me to take a picture of Mary’s House when we are in Ephesus — where the Blessed Mother lived in Ephesus. We also prayed for Marie and her husband while here. I told Marie I would. We visited the House of Mary yesterday and had Mass here. To the left is a picture of me standing in front of Mary’s House on the mountainside above Ephesus. 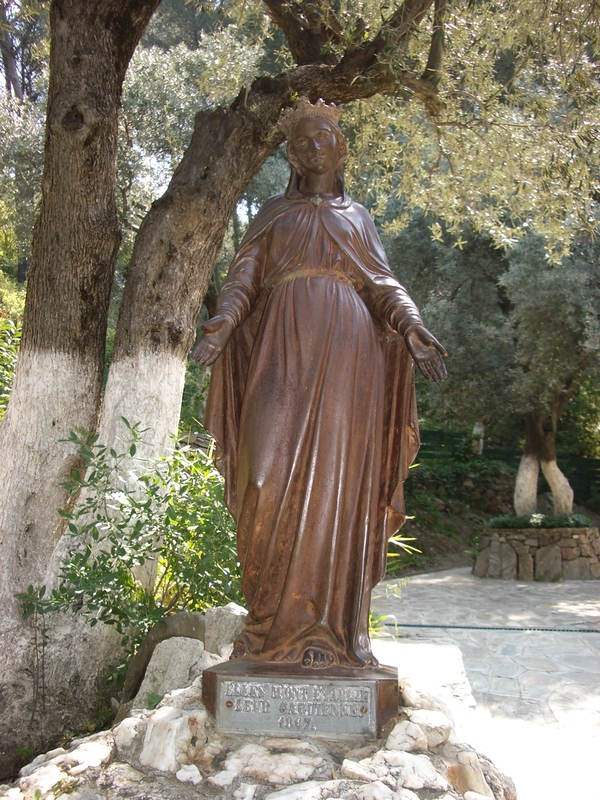 On the right is a statue of Mary at the site. 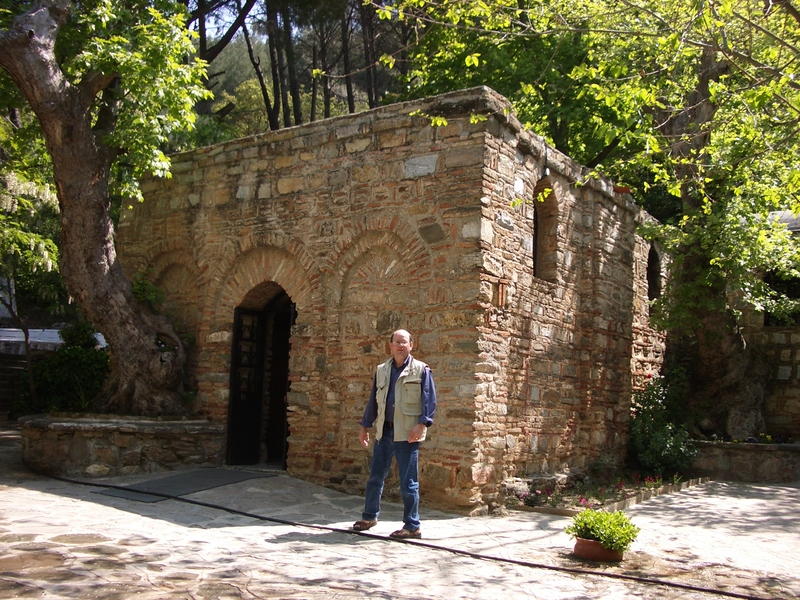 Ephesus was in the diocese of John the Apostle, visited by Paul, Timothy and Luke. 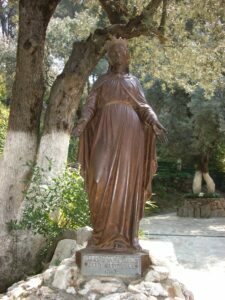 It was here that Mary was declared Theotokos by the Council of Ephesus in 431. Nearby is also the tomb of St. John and one of the Seven Wonders of the Ancient World — the Temple of Artemis (John 19). This site was declared a shrine by one pope and visited by three popes. It was here that Pope Benedict celebrated Mass a year ago. For more on this watch our DVD Mary, Mother of God.